HomeCelebsB-town celebs take the 10-year challenge and boy is it a sight for sore eyes! B-town celebs take the 10-year challenge and boy is it a sight for sore eyes! Social media has always been infamous for its quirky trends and every year we get to see something new that ends up taking the world by storm. This year is no different. Just a little while ago, a trend known as the #10yearchallenge started making the rounds on different social media platforms. The challenge requires a person to post a before and after photo of theirs, 10 years apart. While netizens on the Internet were busy putting up their pictures, looks like the trend has finally caught up with Bollywood celebrities. 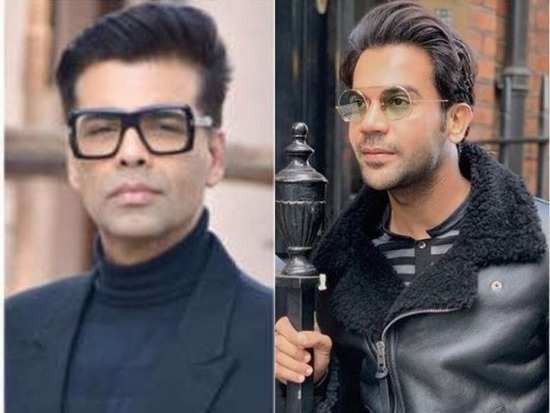 While many B-town divas like Dia Mirza, Sagarika Ghatge and Ayesha Takia put up photos which proved they look just as beautiful now as they did 10 years ago, many other celebs like Karan Johar and Esha Gupta took this as an opportunity to best describe their goofy selves. So, without further ado, here are some of the best #10yearchallenge B-town pictures we came across. Take a look for yourself. Well, we're sure this isn't the last we've seen of this trend since the Internet can be one crazy place. But we sure are glad that our B-town celebs were sporting enough to take up the challenge. Let's hope we get to see more of them putting up some old pictures. Stay tuned for more updates. Twinkle Khanna's hilarious attempt at martial arts will leave you in splits! 1B-town celebs take the 10-year challenge and boy is it a sight for sore eyes! 4Twinkle Khanna's hilarious attempt at martial arts will leave you in splits!